Getting to Favignana in Sicily is easy. There are several ways to arrive hassle free. Here are the details and little secrets to follow. 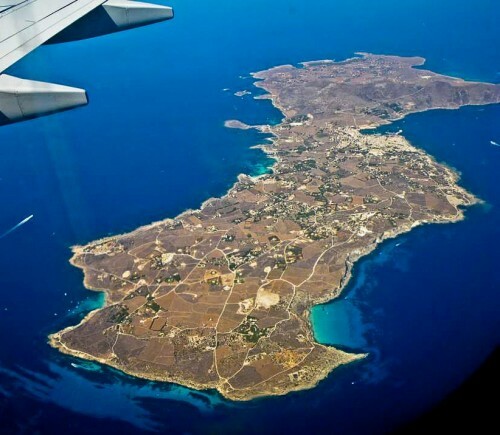 Favignana makes up part of the Egadi archipelago. It’s easily accessible by sea due to its popularity amongst visitors of all nationalities. 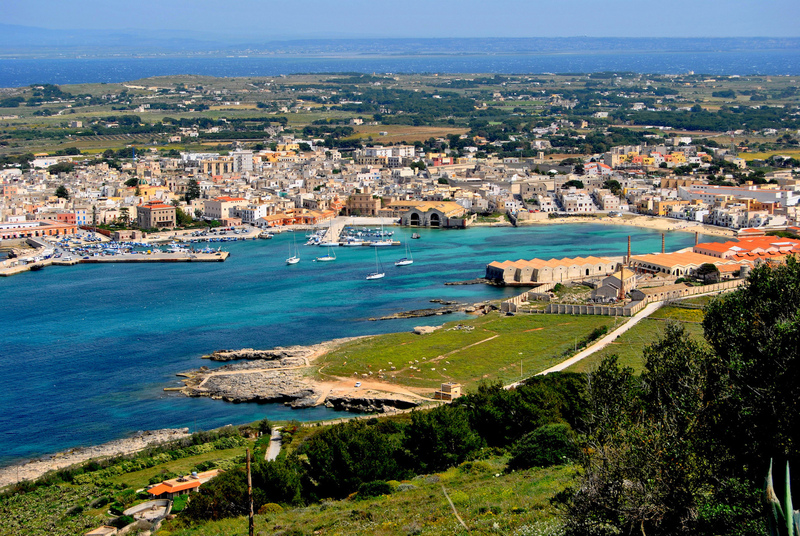 If you’re traveling to Favignana be it by boat or plane, you first need to arrive in Trapani. This charming town has direct flights to the local airport known as Birgi, or there are also direct flights to Palermo. Ferries leave regularly from the main Italian ports. The nearest airports are the Vincenzo Florio airport in Trapani (also known as Birgi) or the Falcone-Borsellino airport in Palermo. In addition, there are charter and scheduled flights that depart regularly from major Italian and European cities. From the airports of Trapani Birgi and Palermo Falcone-Borsellino taxi, bus, private coach or private care hire is available for travel to Trapani. 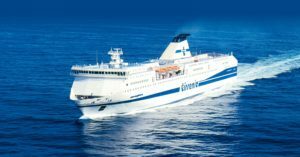 I always recommend the “hassle-free” and more convenient transfer service offered by Siciltransfert, which includes the hydrofoil ticket (bought in advance by the same company). Siciltrasfert also offers a taxi service once you arrive in Favignana which takes you directly to your accommodation. It is preferable, however, to book this service online and ahead of time with the company, or via your accommodation on Favignana. There are ferries departing from the main Italian ports (Genoa, Naples, Livorno, Civitavecchia) bound for Palermo. The companies that service these routes are Tirrenia, Grandi Navi Veloci and Snav. The crossing is usually an evening departure. An online ferry booking service is available for Sicily. Once in Palermo, you can continue by car to the port of Trapani or by bus with Autolinee Segesta, and then embark on a hydrofoil or ferry to Favignana. If you have not found direct flights to Trapani, Palermo is an excellent alternative. The travel time from Palermo to Trapani is roughly an hour. From there a hydrofoil or ferry will take you to Favignana. Once in Trapani, you can take a car ferry (motorbikes, camper vans, etc). The ticket office is located at the port’s marine station where boarding also takes place. Make sure you are there at least 30 minutes before the scheduled departure time – (believe it or not, the ferry may leave earlier than scheduled!) The ferry companies are Siremar and NGI. We strongly recommend to book online and purchase your ticket in advance. The ferry ride takes about 1 hour. Although this option may give you the joy and freedom to drive your own vehicle, there can be a down side. The ferry service is sometimes affected by unsafe weather conditions, resulting in delays and missed flight connections. I recommend taking the hydrofoil and renting a car or bikes on arrival. The hydrofoil is the fastest way to get to Favignana. 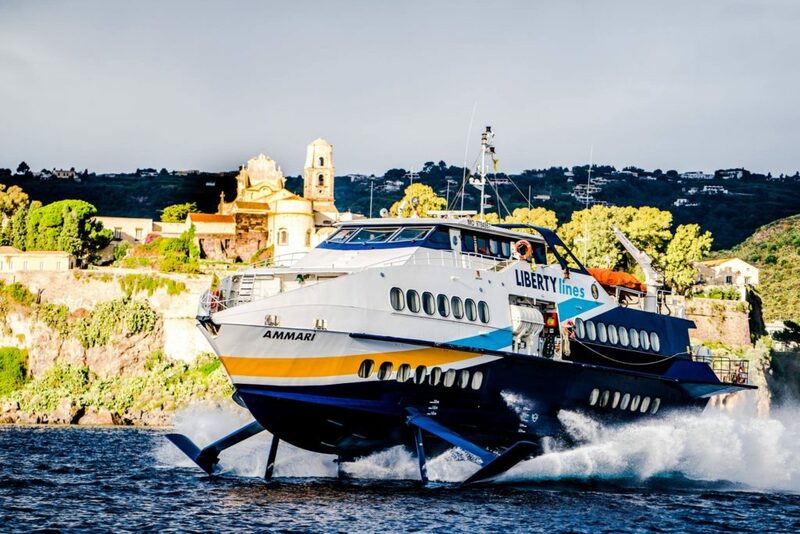 Liberty Lines hydrofoils run roughly every hour from morning to evening, and take you straight to Favignana in 20 minutes (30 minutes if it also stops at Levanzo island). The ticket offices are located in front of the pier where the hydrofoils depart. It is strongly recommended, especially in high season (through July-September), to book online prior to your departure. The morning services tend to get extremely busy and can be fully booked even days in advance. Booking online saves you queuing at the ticket office. When booking, make sure to go directly through the company website Liberty Lines rather than through an agency or broker in order to avoid paying additional commissions. Favignana can also be reached directly by hydrofoil from Naples and Marsala. 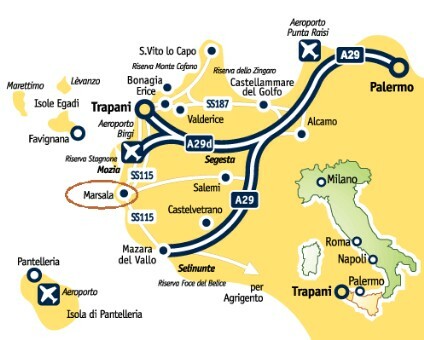 If you are traveling to Favignana by car from Palermo, take the A29 motorway and follow it to the exit for Trapani. From the port of Palermo it takes approximately an 1 hour depending on traffic. From Palermo airport allow about 50 minutes. From Trapani airport the journey is just 15 minutes. Once in Trapani, follow the signs to the port or Centro if no signs are available. If you wish to drop your car in Trapani, there is a municipal multilevel car park on the way to the port. It is the safest parking lot for long stays. Alternatively, there are other long-stay and unattended parking lots in the same area. From the Trapani station it is possible to reach the port by taxi or on foot (approx. 1km). From Palermo take the Autolinee Segesta bus company which stops at the port of Trapani. The journey takes about two hours. Departures are usually every hour. Tickets can be purchased on the bus and online. It is possible to reach Favignana via private boat. In this case you can dock at the main Favignana tourist pier or one of the several piers located along the coast of the island. The island is equipped with technical and medical assistance points necessary for navigators. For those arriving with their own boat, the refueling point is located on the pier of the main port in Favignana. The marina is run by Circolo Nautico Favignana, the nautical club and its floating piers supply water, electricity, mooring assistance and fuel. Alternatively, if you have a small boat, Punta Lunga offers mooring facilities at the Villaggio dei Pescatori which is located about 3 Km from the main port. The sea in the Egadi archipelago can be unpredictable. Due to strong currents and unexpected windy conditions, we do not recommend traveling to Favignana by private boat without an experienced skipper on board. 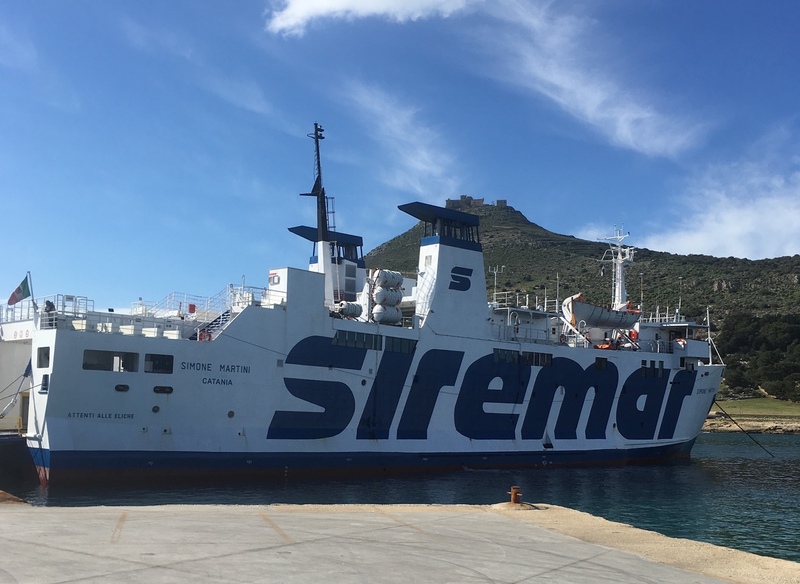 If travel is delayed and hydrofoils are no longer available in Trapani, private night transfers on speed boats can reach the island in about 40 minutes. Skippers are available, but advanced notice is usually required. The cost of this service is approximately 250 Euros for 4 people. Favignana has many rental companies offering bikes, electric bikes, mopeds, cars and boats. Noleggio Plaia comes highly recommended. It’s walking distance from the port, well stocked with good quality bikes, and friendly efficient staff. A local bus service is also available to take you to the most popular sites at affordable prices. Tickets can be purchased at the ticket office by the port and on board. Any doubts? Please do not hesitate to contact me.